In honor of double-you, ABC Wednesday's letter du jour I send best wishes to my bloggie friends for a wonderful holiday as we celebrate Christmas, Hanukkah and a new year ahead. Wrap the bird song like a scarf . See more unique sky views @ Skywatch Friday. Red and green for Christmas--who doesn't love to see them getting along so nicely? 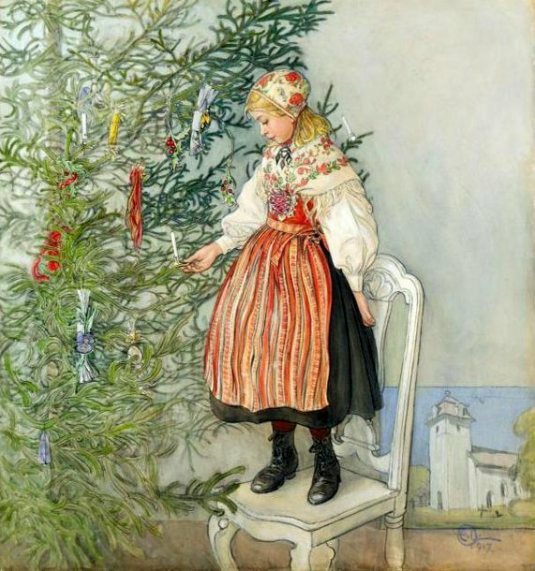 Above is a painting made by Karl Larsson of his daughter decorating their tree. 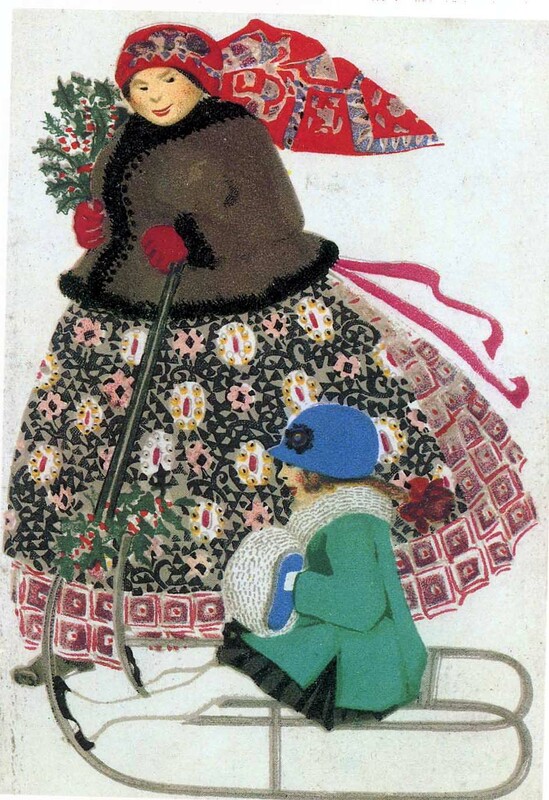 I see her red stockings, red stripes in her apron, cap and shawl as well as a few ornaments. A quietly festive scene. 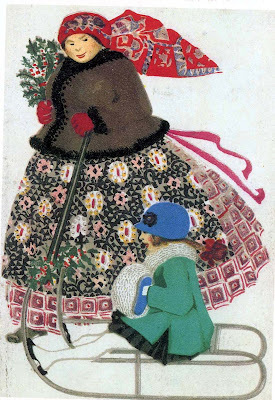 Called Out in the Snow by Mela Koehler who was part of the The Wiener Werkstätte (Vienna Workshop) in the early 20th century. I love the lines and movement especially from the floating scarf and ribbons, not to mention the bright red gloves and the big red bow in the girl's braid. A happy scene. I don't know who made this bucolic scene but it has hung in my kitchen for a long time. The lambs near the fire always make me smile as does the white cat sleeping in the window. Then there's the red stockings, towel and fire's glow. A warm scene. More red creativity @ Ruby Tuesday. food for a rambling fancy. I happened upon this surprising sunrise along Snail Lake early one morning in December. The lakes are slow in freezing this year--usually the fish houses are on the lakes by Thanksgiving. This one is on its way but some water remained that morning, reflecting the electric sky. I gladly share this scene @ Skywatch Friday along with Pink Moon by the late, great, Nick Drake for your listening pleasure. 'Tis the season of lights and almost Tuesday, which means linking a photo to Ruby Tuesday where red is the color of the day. On our Christmas tree blue decorations far exceed red. The red star on the left is from David's childhood tree which makes it really, really old. On the bottom is a blown glass 'candy apple' on a stick with us since the girls were little. Not really red, except maybe if cats were inclined to blush. . .this is Bean making a hasty exit after being discovered under the tree for the millionth time today. Note 'the look.' Bad cat. More fun @ Ruby Tuesday! I begin just where I left off. . . I'm linking this glimpse of daylight to Skywatch Friday with its many sky views.